First responders experience trauma everyday in their line of duty — it’s just another Tuesday for them. Because they’re constantly exposed to traumatic situations everyday, the job is an occupational hazard. That means it’s time for municipalities to provide their first responders with the resources and care they need in order to cope and address their trauma. Looking after a first responder’s mental well-being can include therapy, but other places have taken it a step further to implement programs that are specially designed to help physically and mentally. That doesn’t mean that mental health still shouldn’t be addressed in first responder environment to dismantle stigmas, which can make it difficult to even admit that someone may be mentally suffering. These are the unsung heroes of society. Education and knowledge of mental health is imperative. If mental health issues go unaddressed, it can lead to dangerous paths. It could create insomnia and lower job performance, or the accumulated stress could lead to cardiac arrest and anxiety that might result in substance abuse and suicide. The suicide rate has rocketed over the past years for first responders as more terrifying events continue to occur on an hourly basis. 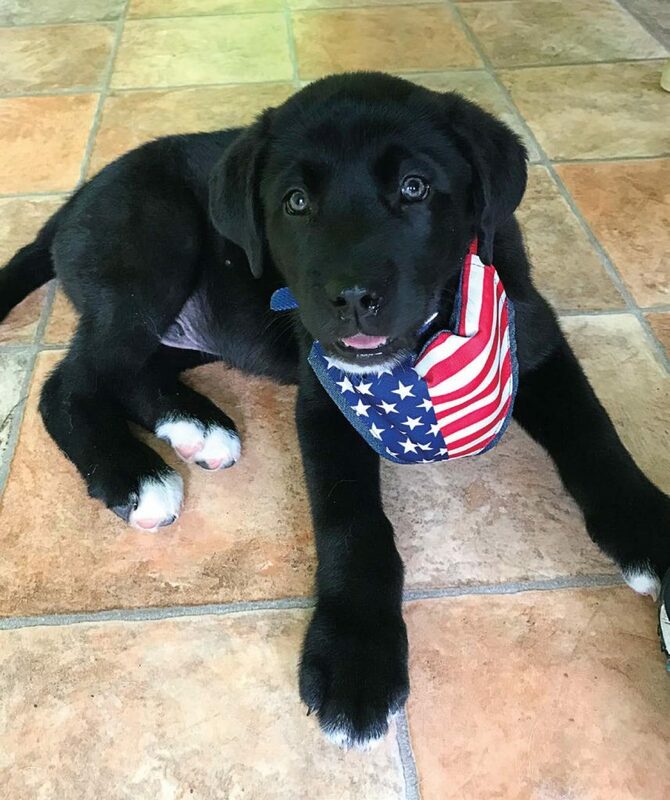 Hero Pups is a nonprofit, volunteer-based organization based in New Hampshire. While the organization has been around since 2011, it recently became official, catching the attention of many across the country. Hero Pups isn’t like other therapy animal organizations. They work to help everyone in need despite their finances. The dogs are matched with a compatible hero then trained specifically for the person’s needs at no cost. Support animals comfort people who may suffer from a variety of mental health issues, post-traumatic stress disorder being one of them. PTSD is different for everyone, which is why the dog would be specially trained to react in certain ways in cases such as flashbacks, night terrors, detachment, losing interest in things that used to be fun and so forth. Dogs demand attention and focus on them, which brings the person from the past to the present. Those who have experienced trauma sometimes have issues sleeping but the dog can help them be more confident when going to bed. They offer a form of protection. Their presence can be a form of grounding and stabilizing someone. They do not cure mental health issues, but they won’t leave their human to fend for themselves. “If you’re having a stressful moment, they’ll check in on you,” founder Laura Barker explained. “They have a pack quality. If there’s an episode or flashback, they’re taught how to touch. They’re trying to get their human involved with them. The dogs want to be a part of something. 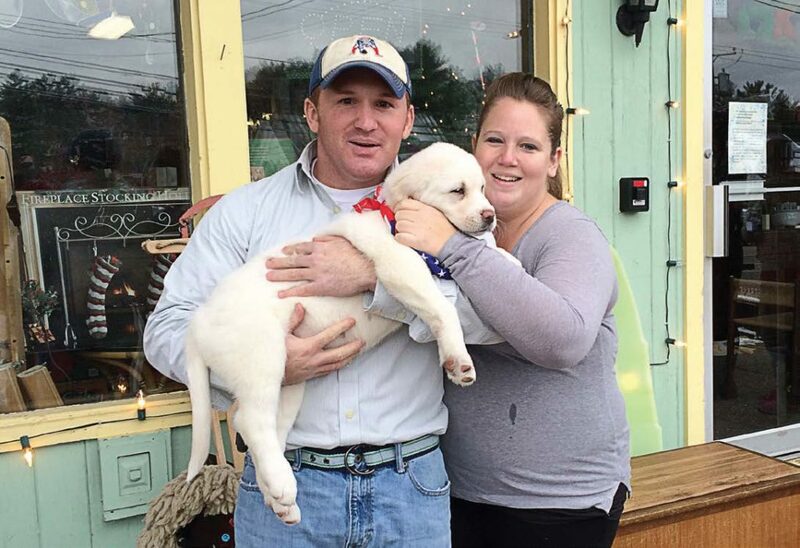 The nice thing about a small organization like ours is that we have a hero who this dog is going to. When it comes to municipalities investing and supporting this kind of mental health assistance method, Barker can attest through her research that it would save them money. It can reduce hypertension, blood pressure and all the other symptoms. Every story that Hero Pups has partaken in has been a success story. The organization has 18 active volunteers who work out of their own homes along with their full-time jobs. Because Hero Pups connects dogs with people through the training, it is geographically impossible to help those outside of their area. The ultimate goal is to create a pilot organization across the country so that more affordable resources become available to those who could benefit from support dogs. Barker offers advice for both municipalities and the person seeking support. For someone looking into getting a dog, they should make a list of what they need, of any size concerns, specific behaviors that will be addressed and so forth. Municipalities should thoroughly research organizations before initiating action. Many organizations will have veterans and first responders go through the process only to tell them halfway through that a dog will cost an absurd amount. That makes people get their hopes up. Whatever organization is chosen should be able to provide a follow-up to check on the dog and person. Life happens and things change, so if they have the dog and person in mind, then that means they’re not helping just for the money. The misconceptions that come from yoga are often based on westernized marketing tools, which don’t represent the true core and purpose of it. Those harmful misconceptions serve as a deterrent for those who could actually benefit from it. Olivia Kvitne has set out to change that by founding and directing Yoga for First Responders. She speaks a language to first responders that they can relate to and works to include everyone. “I had started teaching yoga geared towards the needs of veterans and military people. I got even more specific in reaching out to first responders,” Kvitne explained. “There are a good amount of programs to helps veterans, but there was nothing for first responders.” Kvitne continues to develop concentrative yoga routines for first responders. The method is revised and developed as she learns the needs of first responders and how to properly support them. YFFR is also a mission-driven organization, rather than profit driven, supporting anyone who wants to attend a class and take what they’ve learned back to their department to be a teacher. “The original intention of yoga is to have mastery over the mind and optimal function over the entire system, including the nervous system. Normal yoga seems to be more focused on materialistic stuff and focusing more on the physical part,” Kvitne said. “We do have a physical element but there’s also a facilitator to change the process of stress, to eradicate it and build resiliency to make them stronger. When a traumatic event is experienced or cumulative stress is developed, the brain and nervous system can be severely impacted. It takes time for the nervous system to heal from that situation in order to become balanced and normal again. Unlike physical injuries that are given time to heal properly, mental bruises aren’t given time because they go unseen. Kvitne recalled one class she was instructing where two firefighters were called to report to a situation. When they returned later to continue class, they received another call. Kvitne’s advice to municipalities wanting to implement this kind of method for first responders is to know that not all yoga studios and instructors are the same. It’s easy to stumble upon someone who isn’t knowledgeable about what first responders need. YFFR has been training more teachers so they have the background and knowledge to help. First responders put their mental, physical and emotional wellbeing on the line for everyone else. It’s time that everyone else did something for them. For first responders who experience rotating shifts, sleep seems like a fleeting desire. Sleep deprivation is a large contributor to low job performance and brain disorientation. Poor sleep can lead to depression, coronary heart disease, diabetes and other harmful health outcomes. In the long shifts that first responders work, they can face prolonged wakefulness, which would create mental impairment similar to a drunk driver. That’s why some facilities began implementing sleep rooms. Sleep rooms are equipped with beds or sleep mats, blackout curtains and some sort of white noise machine to block out the chaotic department noises. Sleep rooms can be beneficial during or after a shift. First responders will often drive home after a long shift and fall asleep at the wheel. With a sleep room available, they have the opportunity to sleep as much as they need to before driving. That isn’t just a care tactic for first responders, but for everyone else on the road. Unfortunately, sleep deprivation isn’t something that can be easily measured as it’s different for everyone. That’s when teamwork comes through. During the shift change, incoming responders can check-out the outgoing responders by asking or looking for signs that they’re too sleep deprived to drive home.